The people who brought us the Baby's Umbilical Cord Stump Saver Case are at it again, and this time they've come for your kittens... specifically, their dropped milk teeth and kitty whiskers. What, you were going to just throw them away like toenail clippings? Be-Glad is the company's name, and be glad they've created these unique (we sincerely hope) products. 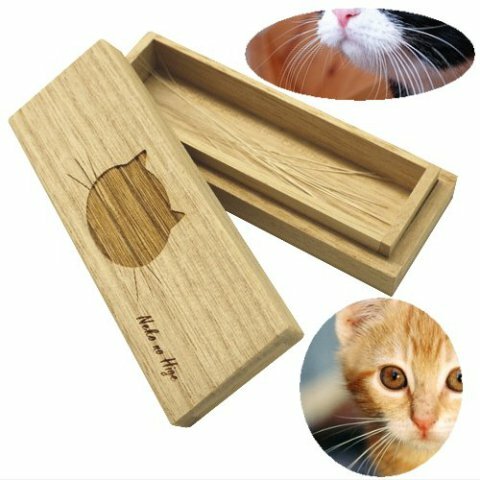 Made from light yet sturdy Paulownia wood, Be-Glad's round Cat's Tooth Box and rectangular Neko no Hige (Cat's Whiskers) box are the answers to questions precious few have asked: how can I respectfully save my growing kitten's outgrown teeth and whiskers for posterity? 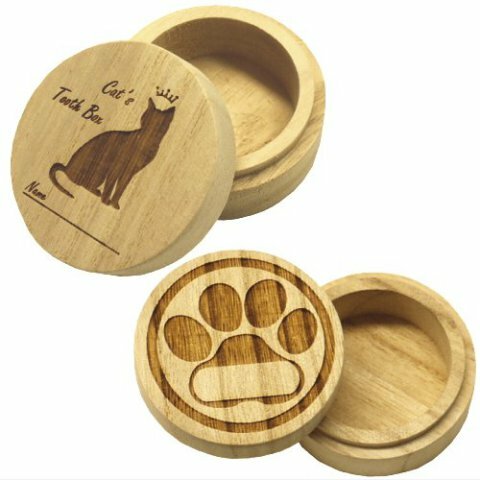 The Cat's Tooth Box is available in a choice of lid patterns: a silhouette of a crowned cat (Paulownia is also known as Princess Tree) or a paw pattern. 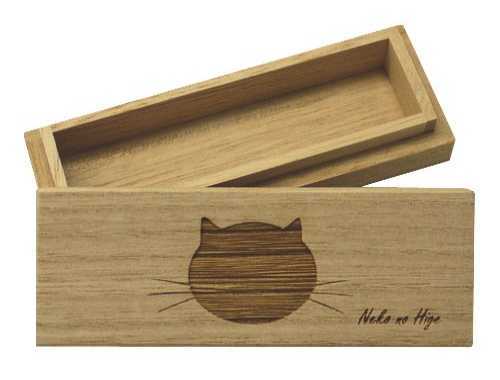 The 8.5cm by 2.5cm (3.4 by 1 inches, interior measure) whisker box features a stylized cat's face on the lid, presumably so you won't mix it up with the box you're using to save hubby's beard, mustache and nose hair clippings. A sheet of gold tissue paper is thoughtfully included with each box, presumably so you can wrap these feline life milestones with the reverence they deserve. Be-Glad is offering both Cat's Tooth Boxes and the whisker-ready Neko no Hige, along with a Dog Tooth Box that performs the same function for Rover's relics, at Amazon Japan.